Everyone wants a home that’s clean and healthy for their family to thrive in, and our experts are here to help make that happen! Our variety of services will help improve the quality of air in your home by removing dust, rodent waste, mold, and much more. From proofing your home against rodents to getting your dryer vents cleared out, our team is here to lend you a hand. You’ll only wish that you’d reached out to us sooner! Our professionals understand being tight on time with a busy life, which is why our company assures quick and high-quality service. You and your family deserve the best of both! Using the finest equipment available along with years of experience, our experts will be there on time and get right to work on determining how best to solve any issue. You’ll be surprised at how quickly it’s all over with! Speed will never mean poorly done with us, and our services will last you for a long time. The main concern of our company is ensuring that each of our customers has an easy and satisfying experience! No matter how large or small the project may be, our experts promise to provide the same amount of care and attention to detail. Our team will treat your home like it’s our own! You and your household should get the finest service available, and that’s what our team is proud to provide. If you’ve noticed scampering sounds overhead at night, droppings, or gnaw marks on furniture, it’s time to contact our team! Our professionals will be able to take care of your rodent problem for you quickly and safely as well. Pesticides are dangerous to use in the home, as they can harm more than just the pests! Rather than risk the safety of pets or your family, why not let our team handle it with our humane trapping method? Our company will trap the rodents and remove them from the home for you right away! Rodent proofing services are also available. Rodents and other pests favor your crawl space as a hideout thanks to it being secluded, quiet, and a great spot to tear up the insulation and otherwise for nesting purposes. However, their disease-ridden waste can still make its way up into your home and risk your family’s health, and they can also cause a lot of damage to the pipes and cables that run through the area. 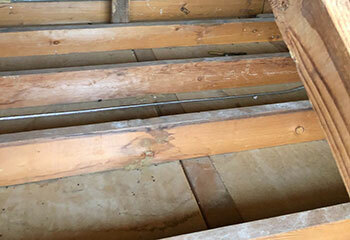 Even without rodents, mold is also a huge problem in crawl spaces and equally dangerous. Our professionals can clean and decontaminate the entire area with specialized tools to keep your family protected! Over the years your dryer’s vent will get heavily clogged up with lint and dust, which can cause a lot of issues. It makes it more difficult for your clothes to dry, which will force the dryer to need to run for longer and thus waste energy in the process. It’s also a fire hazard, as the lint paired with the hot temperatures can spark a flame. That’s why it’s important to get it cleaned out regularly by a professional! 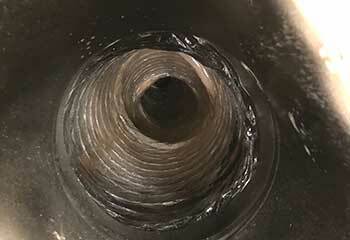 Our experts will thoroughly remove the blockages from the vent to get it totally clear. Our company is happy to provide a variety of important cleaning services to ensure that your home or business’ air is clean and of the best quality to keep everyone healthy. Using unique equipment, our team will carefully clear out the dust and other unwanted materials clogging the air ducts and polluting the air. Repairs and replacements can also be taken care of in no time at all! If your business has a kitchen, our professionals can clean the exhaust hood to prevent risk of a fire from build up grease and food particles. Air quality testing is also available! 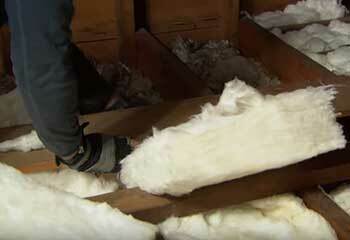 While you may not think it from how little they’re visited, attics can get dirty from a variety of sources. Aside from just the thick dust that will undoubtedly build up over time, rodents also love to make themselves at home in the area and can tear up insulation and otherwise in the process. Moisture getting inside may also cause mold issues as well. Our experts will take care of any and all of these problems with our cleaning services! Decontamination can be done to ensure no lingering diseases are around after a rodent infestation, and mold removal is available. Take a quick look at our most recently finished projects here below! Our team cleaned this customer’s crawl space. Find out more here! This customer wanted to get her dryer’s vent cleaned. Learn more here. Our professionals took care of rodent proofing this customer’s home. Discover more here! When I wanted to make sure rodents couldn’t get into my home, you guys were ready to go right away on proofing my home! I’m so glad to not have to worry anymore. I was horrified to find out there was mold growing in my attic, but thankfully I found you guys to help! The mold removal service you provided was so effective and affordable too. My crawl space was a mess, particularly thanks to some animals making themselves at home, but it was no problem for you guys! I couldn’t believe how fast you got it cleaned out.